As the Country Director for VillageReach in Mozambique, I am very encouraged by the progress we have made in the last 12 months. Great strides were made at the national level to bring attention to the need for supply chain system optimization based on the achievements of the Dedicated Logistics System (DLS). Peer-to-peer learning played a key role in that progress. Within Mozambique, peer learning kicked off in January this year in a National Extended Program for Immunizations (EPI) planning meeting where all provinces were represented. In this meeting the Medical Chief from Gaza province (one of the provinces implementing the DLS) gave a testimony about the DLS. In his speech, he shared with his peers the benefits his province is seeing since they adopted the DLS system. These benefits included drastically reduced instances of stock outs, increased data quality and data visibility, and improved health facility level staff performance as a result of increased supervision and technical on-the-job support. After this testimony, the Tete EPI Manager asked VillageReach to support a visit by his team to Gaza so they could learn how the DLS works. VillageReach supported the visit through the Final 20 Project and in July, four EPI team members from Tete province visited Gaza province to see the DLS in action. For VillageReach, this learning visit represents an important milestone. One of our key objectives is to facilitate peer-to-peer learning among provincial teams so that the evidence generated by the DLS implementation in the initial four provinces can be used to catalyze change in other provinces in Mozambique and elsewhere. Since returning to Tete, the team has decided that they would like to implement the DLS and has started the planning process. The Tete/Gaza experience is an example of how important sharing information among peers is to encouraging change, and we are encouraged to see this visit yield direct programmatic success. 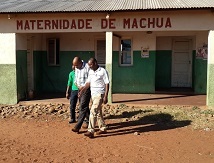 In Mozambique, VillageReach and our provincial and national government partners launched an open source logistics management information system, OpenLMIS for Vaccines, (locally referred to as SELV: Sistema Electronica de Logistica de Vacinas) that has greatly enhanced data visibility for the vaccine supply chain in the four DLS implementing provinces. The reports generated by this system have raised national interest and desire to apply SELV for national level data presentation and reporting. In the coming year, we will be moving these activities forward with national and provincial policy makers to further engage them through national discourse on system optimization. Background: The Dedicated Logistics System (DLS) is an informed push system for vaccine distribution in Mozambique. It was originally developed by VillageReach and the Foundation for Community Development (FDC) and is currently being implemented by the provincial governments in four provinces. In this system, a government field coordinator runs monthly distribution routes to deliver stock, collect data, and provide supportive supervision to health workers at health facilities (immunization posts). Data collected provides supervisors and decision-makers with key information on system performance. 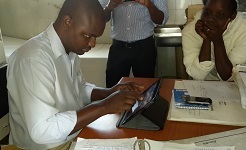 The system reduces burden on frontline health workers, consolidate logistics tasks to small dedicated teams of individuals, integrates supervision and data collection and leverages existing transport infrastructure. The results of an independent evaluation confirmed cost-efficiencies and higher coverage rates when compared to the status quo, a multi-tiered system where each level of the health system is responsible for storing, managing, and distributing vaccines to the next level. 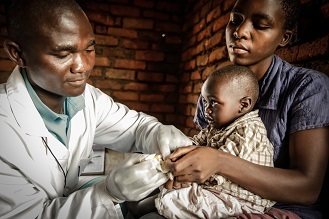 These evaluation results present Mozambique with a unique opportunity to use the evidence generated by the DLS implementation to catalyze change in other provinces as well as in other Gavi countries. One way to achieve this is through peer-to-peer learning between provinces in Mozambique and between Gavi countries.